The 7TP is a Polish tier 2 light tank. The 7TP leads to the 10TP. 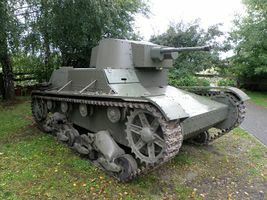 The 7TP (siedmiotonowy polski - 7-tonne Polish) was a Polish light tank of the Second World War. 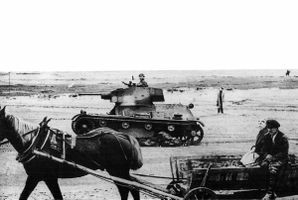 It was developed from the British Vickers 6-ton. 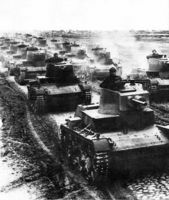 A standard tank of the Polish Army during the 1939 Invasion of Poland, its production never exceeded 150 vehicles. Its chassis was used as the base for the C7P artillery tractor. This page was last modified on 5 September 2018, at 22:59.